Over the past several months, I’ve proposed a thesis around why students struggle to start enterprise companies and how they can overcome the natural barriers that exist. In the first of a three part series, I addressed context — the backdrop for ideas, innovation, and industry know-how. Next, I discussed contacts — the door to investors, early employees, and customers. In this last post, I will tackle what may be the most difficult of the bunch: credibility. Credibility — the answer to everyone’s favorite question: why you? 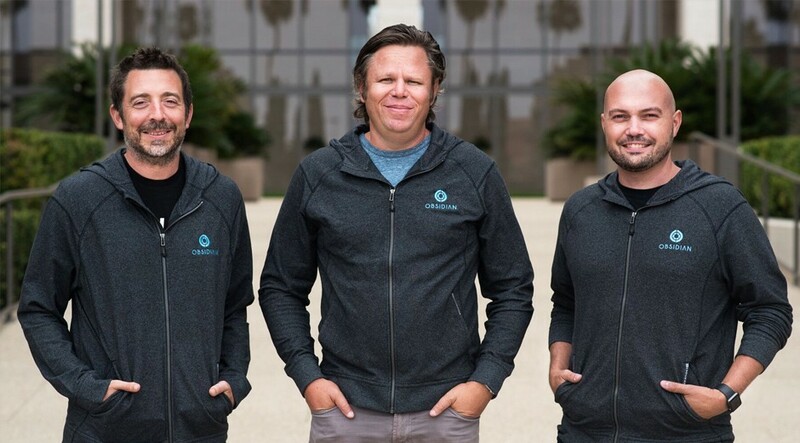 Obsidian Security’s co-founders Matt Wolff, Glenn Chisholm, and Ben Johnson. Consider Obsidian Security, an AI-powered cybersecurity company. Obsidian’s founders, Glenn Chisholm, Ben Johnson, and Matt Wolff, are seasoned security practitioners who gained their credibility at two of the biggest incumbents in the space. Glenn previously served as CTO of Cylance, where he led development for the company’s top product, CylancePROTECT. Prior to Cylance, Glenn (CEO) served as the first CISO at Telstra, the leading telecommunications provider in Australia and Asia. Ben (CTO) previously founded and led security strategy for Carbon Black, an endpoint security company that just recently went public. Rounding out the founding team is Matt (chief scientist), who was a critical early employee at Cylance. With this unbeatable background, the team had no trouble demonstrating its credibility to the partners at Greylock, who recently announced their Series A investment in the company. Without a resume colored with previous exits and revenue-generating products to validate their credibility, students must be creative and strategic to establish their legitimacy. Another company nailing this approach is Pagedraw, a tool for designers and developers to turn their mockups into code. Pagedraw’s founders, Jared Pochtar and Gabriel Guimaraes, met the summer before their freshman year at Harvard University. Having worked as full-stack developers at Google, Palantir, Dropbox, and Coda, the two experienced first-hand the pain of translating mockups from clunky design tools into code. As two of the most active students in the computer science community at Harvard, Jared and Gabriel quickly gained the credibility of their peers. The team partnered up with CS50, the intro computer science class at Harvard, allowing students to use Pagedraw to build their final projects. “That was a pretty successful way to get students to know Pagedraw and gain credibility among developers very early on,” says Gabriel. With this stamp of legitimacy, the team went on to raise a seed round from Y Combinator. While this strategy is useful to consider, it is nonetheless difficult for students to pull off. I’d like to offer some more concrete advice on how to gain credibility among developers. Get involved with developer groups on campus. TK Kong is the founder of Pixelcode, a developer tool that translates designs directly into Swift code. TK is a product designer for Cornell AppDev, where he built his brand among fellow developers. Blog your opinions on new technologies or frameworks. Netanel Barilan is the CTO of Yobs, an AI tool to help businesses streamline HR decisions. Netanel quickly gained credibility by blogging his opinions on technology for notable developer publications such as Hacker Noon. Attend hackathons or developer conferences. Ari Weinstein, Nick Frey, and Conrad Kramer built Workflow, a tool that stitches tasks from multiple applications into one, built the initial version of their product at a hackathon. In 2015, the company was acquired by Apple. Intern at a high-velocity startup. Alex Grinman and Kevin King co-founded Krypt.co, a mobile-based authentication company. Before starting their company, the two spent time as developers at Amazon, Microsoft, Palantir, and Coinbase. Team up with a credible professor. In 2012, Joe Hellerstein (Ph.D. and UC Berkeley Professor) Jeffrey Heer (Ph.D. and University of Washington Professor), and Sean Kandel (Stanford Ph.D student) started Trifacta, a modern data wrangling company. As trailblazers in human-computer interaction, scalable data management, and machine learning research, the founders were easily able to attract top talent and gain the trust of early customers. For each of these experiences, figure out a one-line success story (i.e. “led development in a team with 4 other interns to create “Via”, a Windows Phone 8 application that provides travelers with route-based location suggestions and allows users to search for locations by time along their route”) that you can refer back to when trying to get developers to use your product. In my opinion, the future is bright for student entrepreneurs. Although students inherently lack the context, contacts, and credibility that comes with years of operating experience, they can still succeed in building billion dollar businesses by thinking strategically and acting with intention. Furthermore, students can use this lack of experience to their advantage. Unencumbered by the status quo of legacy systems, they can think truly disruptively, rather than incrementally. I hope this framework has inspired you to start thinking more seriously about enterprise software and informed you on how to position yourself well in the industry. As always, I’d love to hear your thoughts. If you liked this post, please “clap” to help to promote this piece to others or let me know your thoughts in the comments. Thanks to Denali Tietjen and Ankur Goyal.